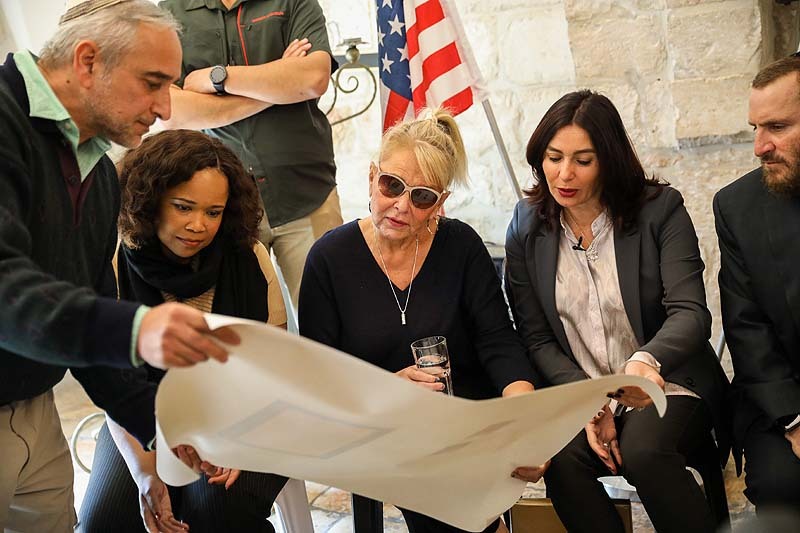 Roseanne Barr with Culture Minister Miri Regev during a visit to the Old City of Jerusalem, January 27, 2019. 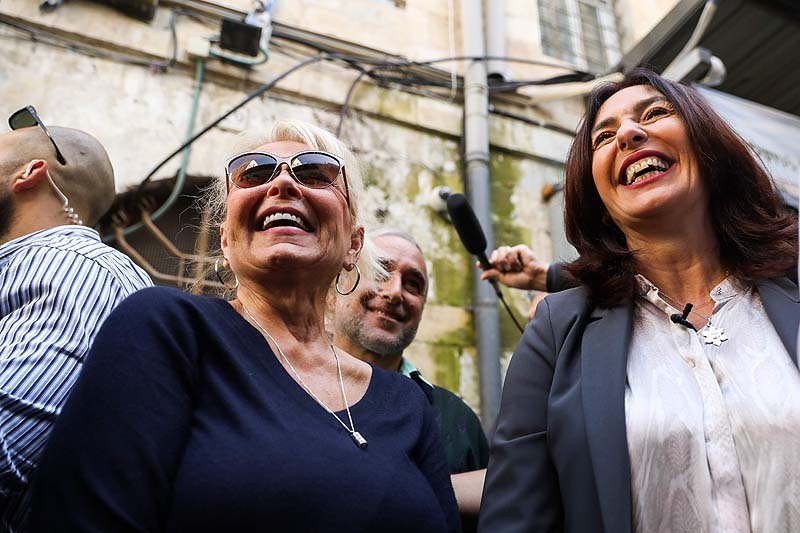 On Sunday morning, two of the biggest mouths on Planet Jewish, Comedienne Roseanne Barr and Culture Minister Miri Regev, took to the streets of the Old City of Jerusalem, and, judging by these pictures, enjoyed each other’s company a great deal. Roseanne Barr has been active and outspoken on political issues, moving steadily from the feminist left to the conservative right. She won close to 70,000 votes when she ran for president in 2012, as the nominee of the Peace and Freedom Party – which is “committed to feminism, socialism, democracy, ecology, and racial equality”, and advocating “to build a mass-based socialist party throughout the country.” Black Panther leader Eldridge Cleaver was its first presidential candidate, back in 1968. After Donald Trump announced his candidacy for president in 2015, Barr rook a right turn in her politics, and received a call from Trump called who thanked her for her support. She has advocated for and defended Trump on countless occasions, until that infamous tweet about Valerie Jarrett last May (“Muslim brotherhood & planet of the apes had a baby=vj”), which made her Hollywood’s most reviled celebrity. 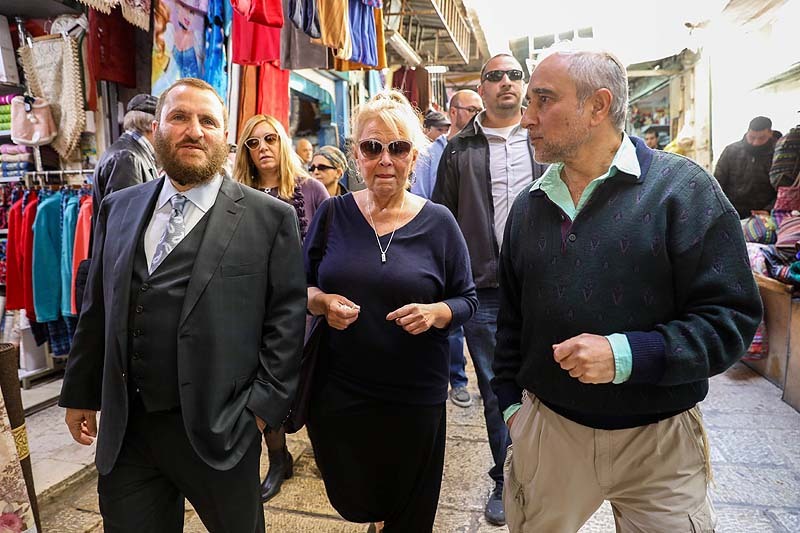 But then came he close and sometimes public relationship with Rabbi Shmuely Boteach, who brought her back into the mainstream, at least in Jewish quarters, with long and revealing intimate conversations online. 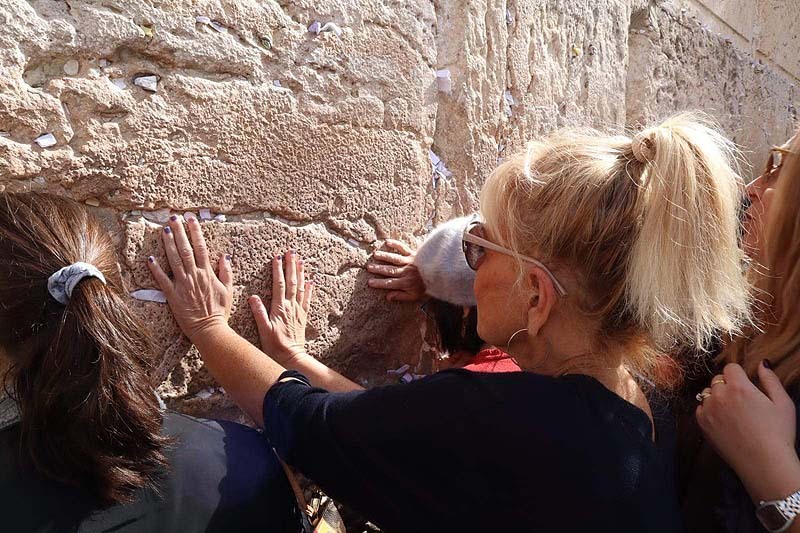 Roseanne has hinted in the past that she was considering making Aliyah – would she consider running for the Knesset on the Likud list? 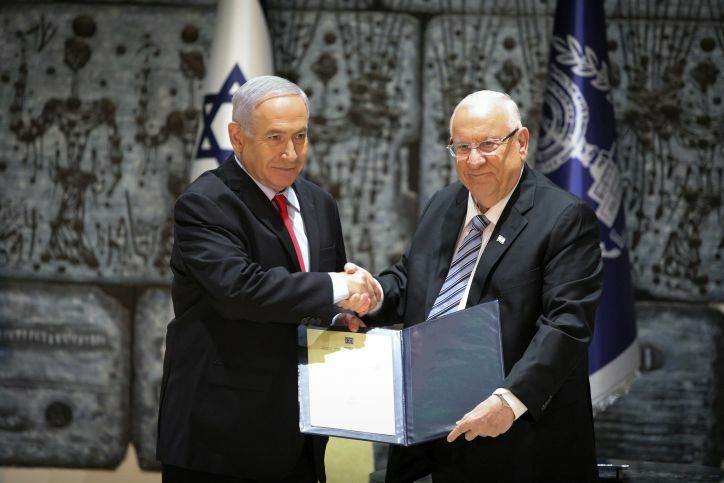 This is not such a far-fetched idea, since the party chairman, one Benjamin Netanyahu, actually has the power to appoint individuals to one or two realistic spots on the slate. But then, again, would he want to cohabited with the irrepressible Roseanne Barr in the Knesset? Unlikely. 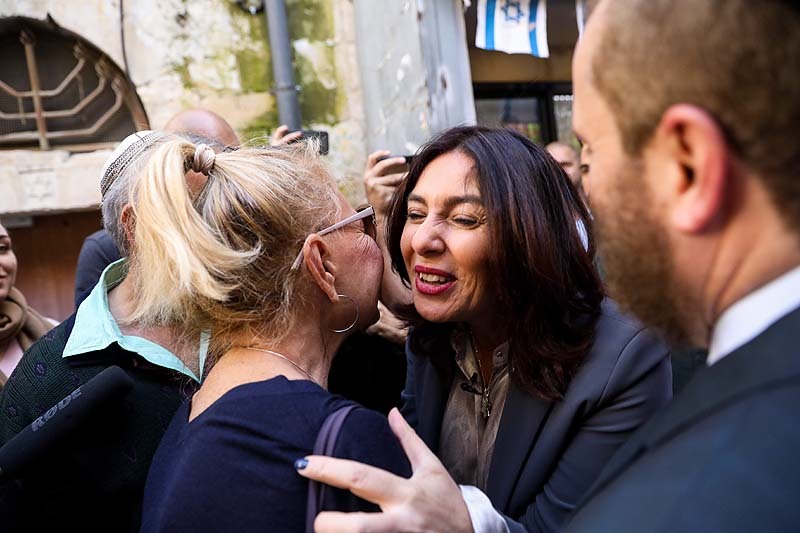 But it can be done – America’s kitchen goddess could become an Israeli citizen this afternoon, and Bibi can add her to his Knesset list later tonight.